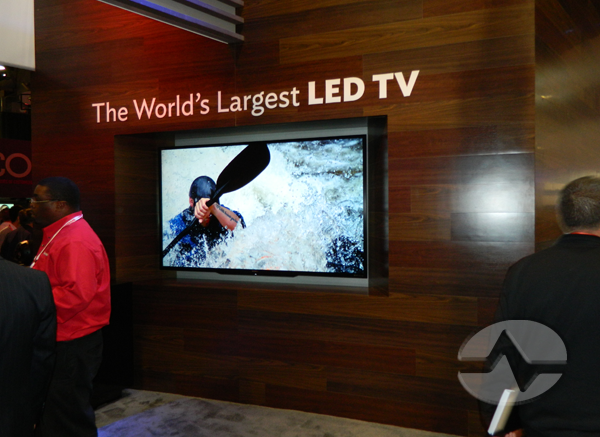 Large TV at CES 2013. I think we all remember when a the TV we wanted cost $20,000. For me it was back in 1999 when I saw a 37″ standard-defintion plasma TV about that price. High-end TV was a passion starting almost the first day TV arrived, and generations lusted after ever-larger screens with ever more amazing features. There was a time when a projector seemed like the answer, and then we got flat TVs. TVs got bigger, then we got 4K and eventually HDR. Today it’s possible to get a really decent 60″4K HDR television for a little over $1,000. Does that mean you never need to spend any more? Is it the end of the videophile movement? As I wrote in this article back in 2014, high-end video doesn’t carry the cachet it once did. Instead of getting perfectly matched components from a dealer in a darkened room, we buy our TVs at big box club stores, and the only time we see them is in brightly-lit aisles using the worst possible calibration settings. It’s still possible to get expensive TVs, but for most people, the TV they get is still capable of showing the best picture they’ve ever seen. 4K hasn’t brought enthusiasm back to the high-end video market and neither has HDR. Those features, once said to be the saviors for high-end video, quickly migrated down to the discount TV. Increased competition from Chinese manufacturers has meant that you can actually get a very, very good looking TV now for less than you expected. OK so you will pay a little more if you want a super-duper-thin TV, or a super-duper-large one, or if there are specific features that most people don’t care about. But the bragging rights are something you have for yourself – a big TV probably won’t impress your friends, who won’t be able to tell the difference. So what is the future of TV? The future of TV isn’t the incredibly expensive television. But, you don’t need me to tell you that. Your television isn’t the only way you watch video. Instead of watching only one very expensive screen you now watch your phone, your tablet, the TV in the living room, the bedroom, or even in the car or RV. The future isn’t one very expensive TV, it’s a bunch of really well-performing screens of every shape and size. Is that really a bad thing? I would say no it is not. The last four years have shown that manufacturers are still innovating and still trying to come up with the next “must-have” television feature. Will it be 8K or reflective TVs that look like printed pictures? Will it be a TV that takes a picture of its surroundings and blends right into the room? Who knows? The only thing that’s sure is that TVs will keep getting better and at least for the foreseeable future they will keep getting cheaper. That benefits everyone, whether they realize it or not, and it means more people can have a TV that would have been reserved for the “landed gentry” just a generation ago.